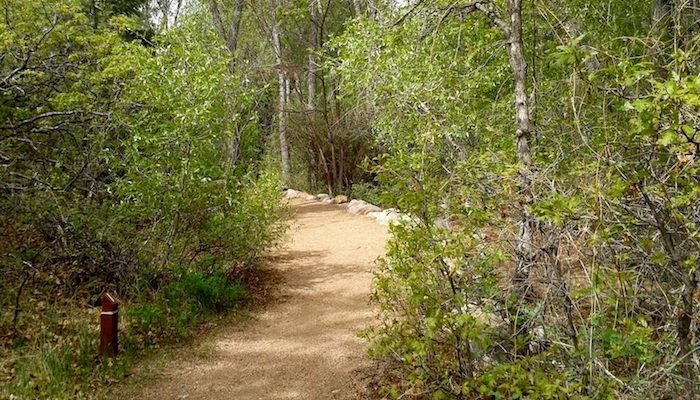 Located only 2.5 miles west of downtown, Bear Creek Regional Park is a 545 acre multi-use park tucked into the foothills of Pike’s Peak. There are 10+ miles of trails for non-motorized use. Local runners say this park is a good option for trails of various lengths and skill levels, especially if you want to get in some hill work. Most runners tend towards the eastern end of the park — you can park on South 21st Street and go from there. We’ve put together a loop run of 3 miles in the eastern end of the park, starting at the parking lot. For a longer run, cross S. 21st St. into the western part of the park. The park has facilities for numerous sports and activities, from picnic areas and playgrounds to basketball, tennis, horseback riding, archery, and more!